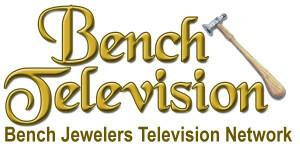 Receive Full Unlimited Access to all shows and all episodes in those shows on the Bench Jewelers Television Network including all the Jewelry Making and Fabrication shows. Full access granted as long as your monthly membership is current. Only $27 per month. Purchasing individual shows below provides you unlimited lifetime access to all episodes in that one show. Individual Shows Only $30 per season. Hand fabrication takes precise craftsmanship to make the jewelry evenly portioned, straight and symmetrical. There’s no room for mistakes, it must be measured and executed accurately. This show will reveal how to Master the Techniques needed. From simple looking pieces of jewelry to complex projects it’s all here. Throughout the series your fabrication skills will be stretched as advanced fabrication procedures are demonstrated. 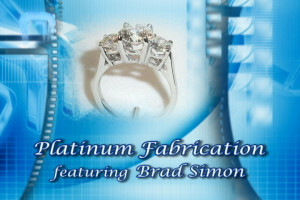 Watch over his shoulder as Brad Simon reveals how he creates rings from platinum stock. Traditional soldering techniques as well as utilizing new Fusion Welding techniques using the PUK Welder is demonstrated. Laser Welders are more than just an expensive retipping tool! 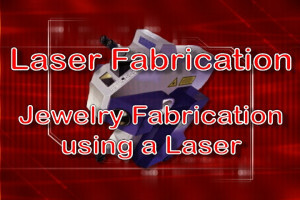 Learn from one of the jewelry laser welding pioneers how to use a Laser Welder to fabricate and assemble jewelry. Lasers have quickly become an essential piece of equipment in the jewelry shop, and this television series will show you why. In season 1 you will discover how you can use the new technology of Laser Welding to make creating jewelry easier and more profitable. Hand Fabricated or Assembled Findings? Only Your Bench Jewelers Knows for Sure! Custom Designed Jewelry and Custom Made Remounts are big business. However, Hand-Fabricated Jewelry is often beyond the budget of our customers, especially in today’s economy. In this show, you will discover how to create jewelry with a hand-fabricated look in a fraction of the time and cost – assembled from stock findings. Rings are the most popular item of jewelry and this season Master Jeweler Brad Simon creates two different styles of rings. 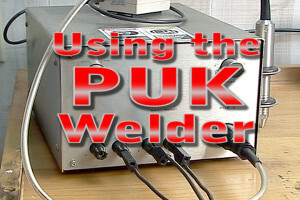 Fusion welding using the PUK Welder is taking the industry by storm. Learn what all the fuss is about and how you can use this new piece of equipment more efficiently. Are you considering purchasing a Laser Welder? See if the PUK will meet your needs saving you many thousands of dollars. This television series will teach you how to use the PUK welder and demonstrate several different applications and methods. Making and repairing jewelry encompasses only a few basic techniques. However, there are numerous tricks to use in mastering those techniques. 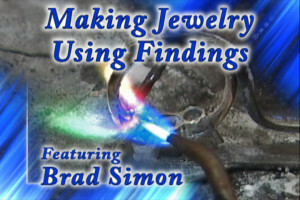 In this show series you will learn tips, tricks, and techniques on jewelry repair, fabrication, and stone setting from Brad Simon and other Master Jewelers. How to make repairs easier, tricks to working on platinum, simple tool alterations to speed up your work, tricks to setting color stones, plus much more is covered in season 1. Maser Jeweler Steve Satow was a featured columnist in Bench Magazine providing instruction on Laser Welding and tool modifications. 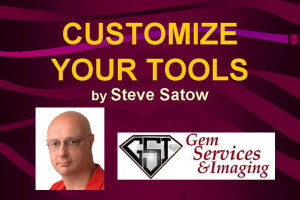 Now you can watch as Steve Satow explains how he customizes his tools and how he uses those tools at his bench to improve his productivity and quality of work. 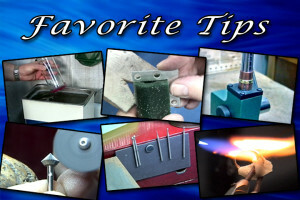 Each episode in season 1 is a clip from Steve’s live presentation at Rio Grande’s Catalog In Motion containing many of his favorite customized tools.